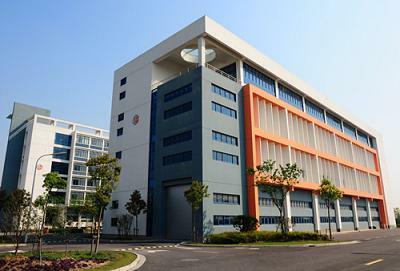 Located in the Optics Valley of China, Wuhan East Lake National High-Tech Development Zone, the second largest concentration area of intelligence in China (merely after Zhongguancun Science Park, China’s Silicon Valley), Wuhan AMATE Technology Co., Ltd is a high-tech enterprise that specializes in Micro Power Wireless Sensing Devices production, R & D, Marketing & Sales. As the earliest domestic forerunner dedicated to wireless temperature measurement products and system, by virtue of restless effort on technology innovation and market-oriented research for a decade, AMATE has now been growing into a leading provider of wireless temperature sensing devices, wireless temperature monitoring system and a package of wireless temperature measuring solutions. Looking back the course, AMATE has gone through both glories and hardship. On the initial stage, cooperated with three national key universities research labs, we had been focused in wireless temperature sensing technology R&D and application testing only. Then when the technology became mature & reliable, especially after the practical application testing, we established our factory and started production, marketing & sales. Due to the technology innovation, qualified products, realistic application convenience and sound after sales service, our products receive great concerns and enjoy a high reputation among our customers. During this period, we had applied for European and US patents, a number of Chinese utility model patents and 6 software copyrights. The huge domestic success has encouraged us to have an attempt to explore the overseas markets. From 2011 to 2013, we have been successively anticipated in the world’s largest industry exhibition fair---HANNOVER MESSE, German. And out of our expectation, we also attracted great attention from overseas guests or friends. This triggered our decision to launch several overseas companies or offices. In 2011, we founded our German Aachen Marketing Center & Australia Toowoomba Marketing Center respectively. And in Nov. 2012, we formally joined world’s largest association of internet of things---European Association for the Internet of Things (The first Chinese company that entered). Till now our sales network has reached and our wireless temperature monitoring products has been exported to German, USA, Australia, France, Italy etc. Our products mainly consist of various wireless temperature sensors, wireless temperature displays, and the relevant temperature monitoring soft wares, that constitutes the whole wireless temperature monitoring system. With an increasing apparent tendency of technicalization, globalization and informatization, Wuhan AMATE warmly welcome customers from home and abroad to further develop technical cooperation and scientific research with us for creating mutual benefits and marching towards future!